Coming from Christiansburg, take the South Main Street Exit off route 460, going towads Blacksburg. Go left at the first light. Its the far building on the left of the semi-circle behind the hotel. We are a family business founded in 1953. In our view, the key to lasting success in commercial real estate is not in owning the most properties, or having the lowest price, or being the biggest firm in town. The key is to be the best at what you do. Over the years we've learned that while no building is perfect, we can solve problems quickly and effectively to minimize disruptions to your business. 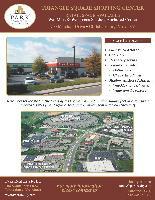 Browse the office and retail space currently available for lease at our website www.parkrealty.com. We are available at your convenience to tour any of the featured properties.